Add an elegant touch to your home with our extensive range of beautiful vases. 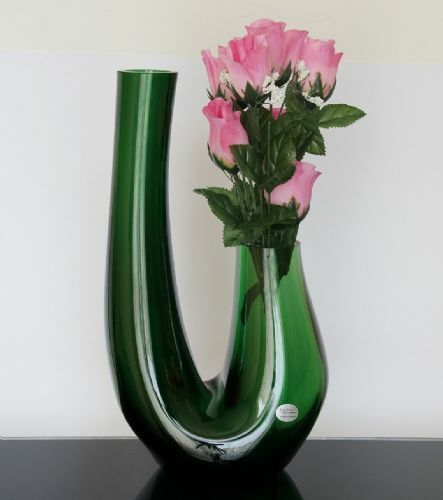 Perfect for a single flower which will look stunning in this single stem glass vase. This flower vase was made for showing off your eye catching bloom. This gorgeous single stem vase will perfectly compliment your table. Part of Solavia handmade glass/glassware collection. Dishwasher safe however handwash recommended to preserve brilliance and clarity of the glass. Wipe with soft, non-abrasive cloth. Please note: this is a handmade glass item therefore minor bubble inclusions may be visible.